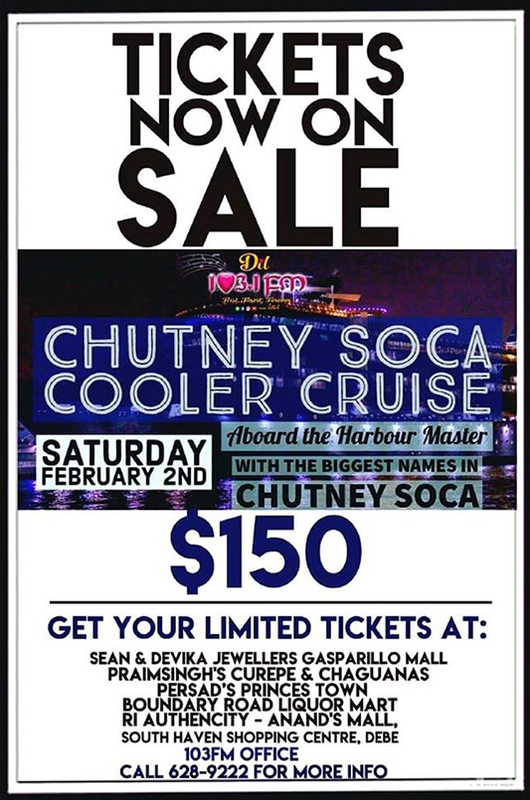 Will you be partying aboard the Harbour Master with your favorite Radio Station on February 2nd 2019? 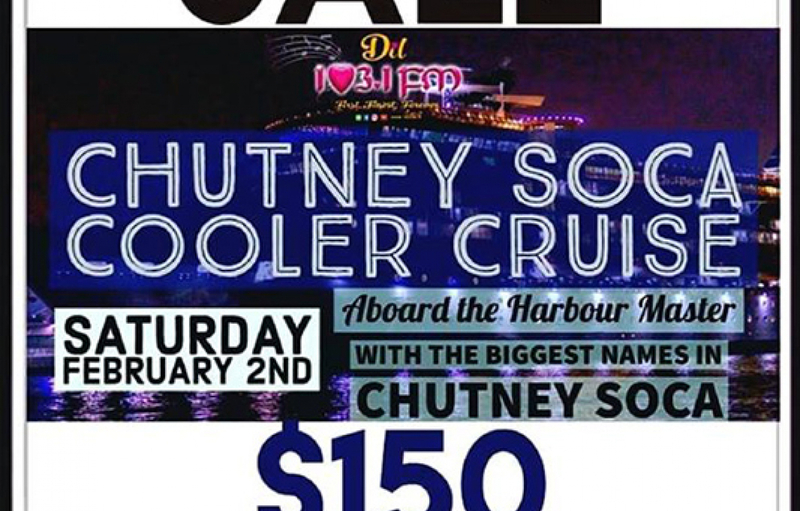 Lime with us on the 103FM and Hennessy Chutney Soca Cooler Cruise... Powered By Hennessy... Never Stop... Never Settle! Aboard the Harbour Master - Saturday 2nd February 2019 - from 8pm to 11pm… Boarding at 7pm! - Omardath Maharaj aka "Ramsingh Sharma"
Ri Authencity - Anand's Mall, South Haven Shopping Centre, Debe. Tickets go on sale from Monday 7th Jan, 2019. CALL 628-9222 FOR MORE INFO!